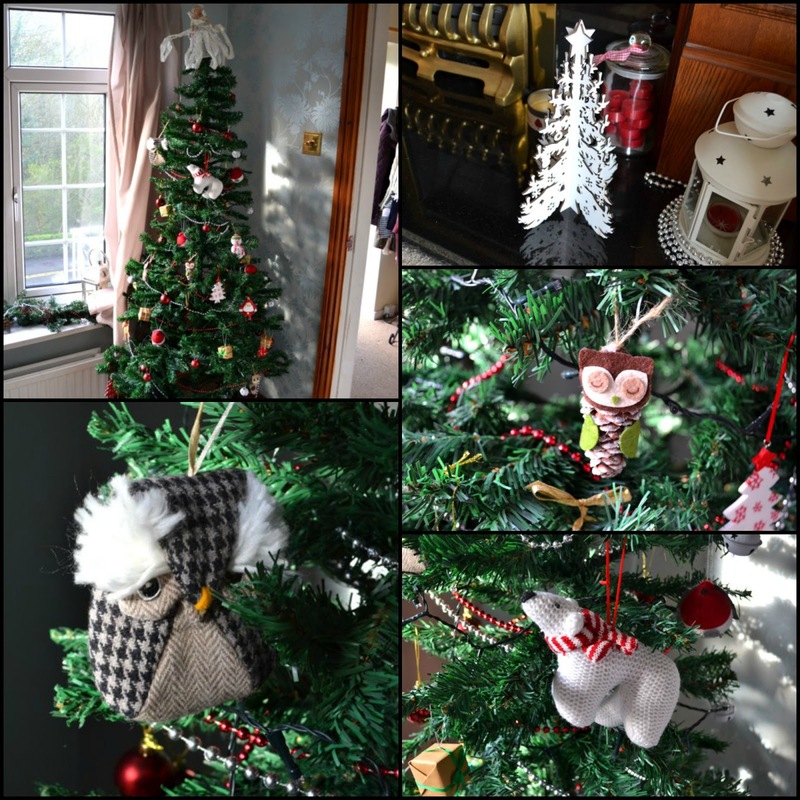 Since it is Christmas Eve I though I would make today's post a little bit festive by showing you some of our Christmas decorations and doing the Christmas tag. 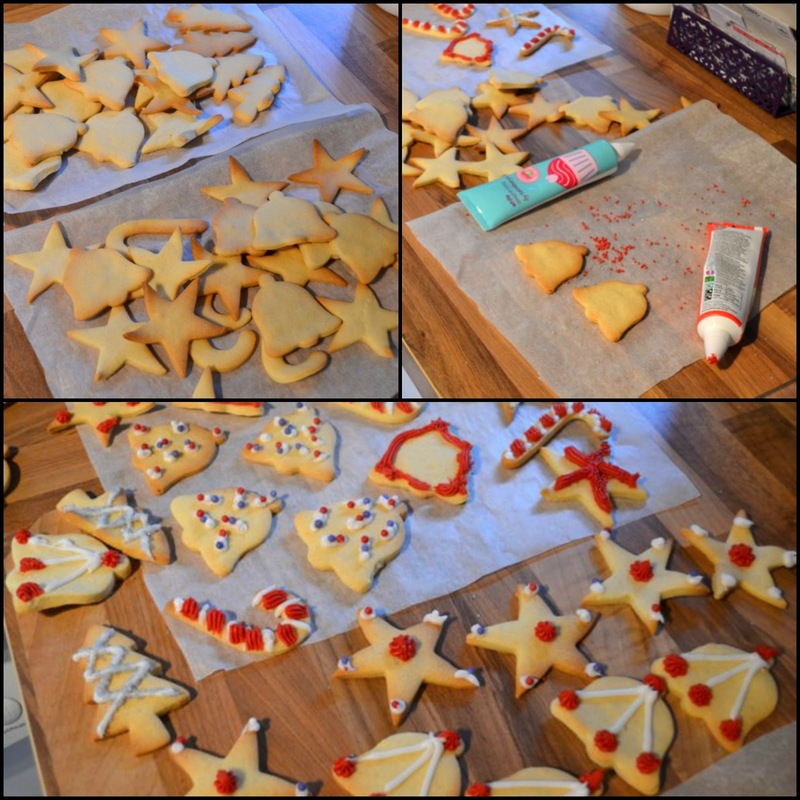 I also include some pictures of the cookies I made the other day. I actually made these last year however this time I added extra vanilla and they taste even better. Making the cookies turned into a bit of a production line but they look pretty good to say icing isn't my specialty. Anyways onto the questions! 1. Do you like to stay in your PJ’s, or dress up for Christmas? I do a bit of both, I tend to be in my pj's in the morning whilst we open the presents then i'll get dressed for lunch but probably end up in my pj's again around 6 to recover from my food coma. 2. If you could only buy one person a present this year, who would it be? I would probably say my Mum as she does so much for me, plus she did bring me into this world after all. She always says she doesn't want anything but I always like to treat her. Always Christmas morning, I didn't even know opening presents on Christmas eve was a thing until a few years ago. I haven't! Each year I mean to but forget or run out of time. I love gingerbread and I did make some last week but definitely need to make a gingerbread house in the future. I try to get all my work and jobs out of the way so I can relax and enjoy time with the family not doing much. I love watching Christmas movies, baking with some sale shopping in there for good measure. Out of the Christmas meal I would say Yorkshire puddings and roast potatoes are probably my favourites. As a sweet treat anything chocolate or a good crumble. I haven't actually seem that many holiday movies but Home Alone 1&2 have been favourites since I was little and I still watch them during the holiday season. I also love The Holiday and Die Hard which is kind of a Christmas movie since it's set on Christmas eve. I like both but I would have to say gingerbread men but I do like candy canes in hot chocolate. Yes! I haven't made one in a few years but I do have a great memory of one year when it snowed heavily so my brother, my Dad and myself went and built a huge snowman in the field opposite our old house. I like both a lot, Christmas Eve evening is always nice since everyone is relaxed and we just watch TV or a film and drink hot chocolate. Christmas day is my favourite I guess as I love opening presents, watching other people open presents and eating lots of tasty food. Definitely white lights, I think they look a lot prettier and simple on the tree. We never put lights outside and i'm definitely not a fan of those bright blue lights so white all the way. So that's my answers to some festive questions and some pictures of our tree and cookies. I hope everyone has a great Christmas and enjoys some relaxing time with family and friends. What is your favourite thing about Christmas? such an awesome tag! need to do it!